If you’ve been trying to monetize your blog with affiliate links and earning almost nothing – well, by now you’ve realized there’s more to it than just putting the links in your posts. 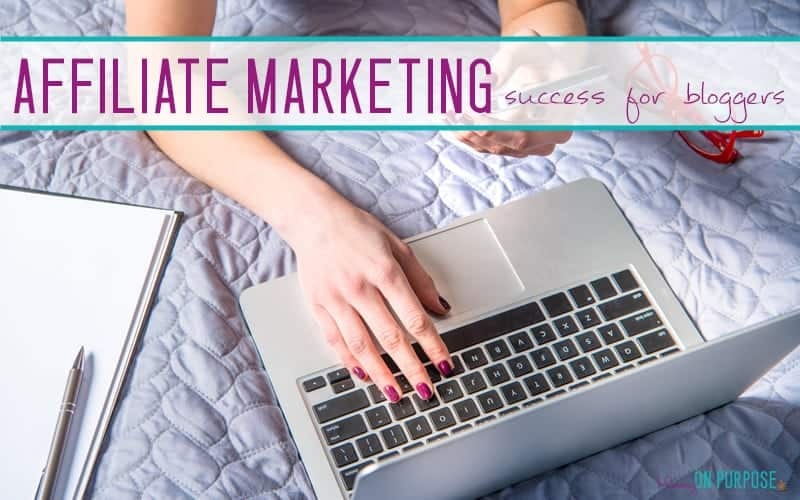 Affiliate marketing is one of my FAVORITE income streams as a blogger, because it has the potential to earn me far more than ads and I don’t have to spend my time to create a product. Not that ads and your own products aren’t awesome income streams, just that they aren’t as “passive” as affiliate sales can be. Ad income requires that you get tons of traffic, and product creation takes time. Affiliate marketing success literally just takes getting the right links in front of the right people in the right way. Ooohhh. I just did it too, didn’t I? I made affiliate marketing sound SUPER EASY. The thing is, at the base level, it IS that easy. What’s not that easy? The HOW of those things. How do we get the RIGHT links in front of the RIGHT people in the RIGHT way? THOSE are the questions we need answered if we want to earn an income with affiliate marketing. We need to learn how to do THOSE things. Not all blogs can promote all products successfully. Not all products will sell to all audiences. And, most importantly, if you don’t promote your links to your audiences in the RIGHT WAY, no products at all will sell to your audience. Who am I to tell you how to make money with affiliate marketing anyway? That’s something you should be asking, for certain. If you’re new here, HI! I started blogging two years ago, TO MAKE MONEY. While ad income is awesome, and it’s a totally legit blog income stream (and I think everyone should be trying to get into a great ad network and increase their page views so they can earn more with their ads), there is a HUGE problem with relying only on ads for blog income. After a few months I realized that my income was sort of capped. I really couldn’t GROW my ad income. And worse than that, it was also TOTALLY dependent on my page views, which fluctuated like no tomorrow. One month I’d make 3000$ and feel like I’d hit the jackpot, the next month I’d be back to 1500$ and wondering if I could REALLY stay at home for the long haul. 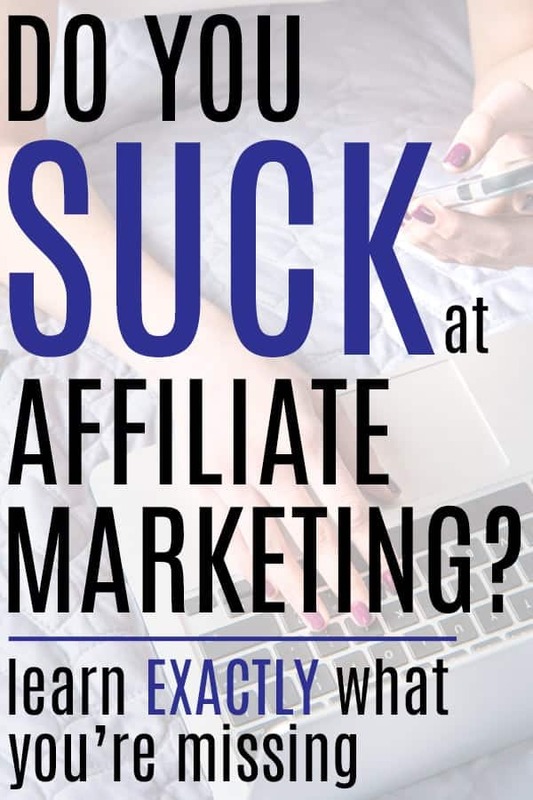 I’d taken a great affiliate marketing for beginners course, and I totally understood how to find affiliate products, put links in my posts, and promote those posts…so it’s not like I wasn’t TRYING to make money with affiliate marketing. I managed to publish a few posts that started earning affiliate money. I’d made a few bucks on Amazon now and then, and some surveys-for-coupons that I promoted in a couple of home making blog posts seemed to be bringing in 50-60 bucks per month pretty consistently. Once in a while I would get really lucky and sell a bigger product, and make an extra 80-160$ that month. So there was SOME income coming in…I was doing SOMETHING right. The course I took to learn affiliate marketing had obviously given me the right foundations. It just wasn’t consistent income and it wasn’t REALLY enough to make a big difference to my bottom line. I sort of felt like I was stuck and floundering… and totally incapable of doing anything about it. 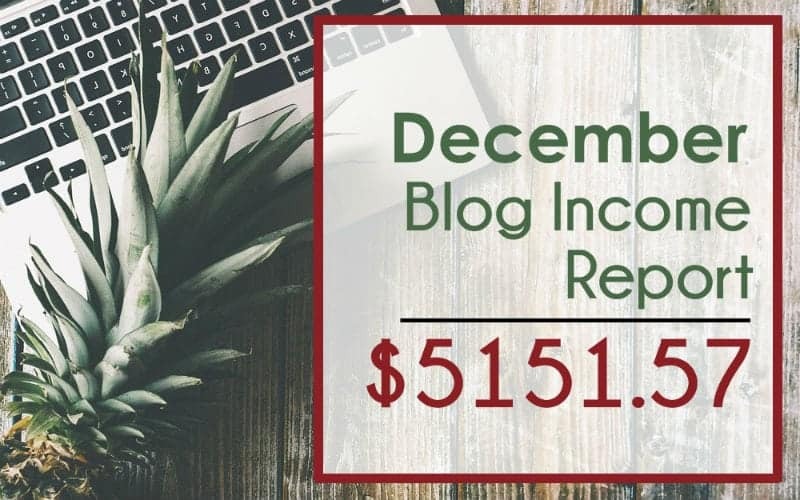 I’d look at other bloggers income reports, showing affiliate income of thousands of dollars, and I realized I must be missing something as far as how to use affiliate marketing effectively. 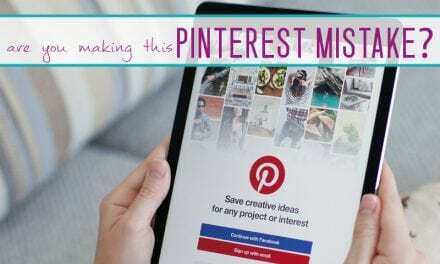 I went through those few posts – the ones that were making sales – with a fine tooth comb and I compared them to all my other (not making sales) posts. And so I started working with what I saw. I improved poor converting posts and wrote NEW posts that made MORE sales. I practiced, and after a while I could tell – before I ever wrote a post – if it would be able to make money or not. I started to figure out what makes conversions with affiliate marketing. One year later (two years after starting the blog) I now make over $5000/month with affiliate marketing – CONSISTENTLY. One of the first things I realized is that many of my posts were the wrong KIND of post. The posts that were making sales? They all had a few things in common. They were all written to a very SPECIFIC audience, and they were all ADDRESSING A PROBLEM. They were all getting good traffic, but the ones that were making the BEST sales were getting SEARCH traffic. So I worked on those things – targeting the audience I was selling to, figuring out what their problems were and how to solve them with my affiliate products… and how to get the RIGHT kind of traffic to those posts. 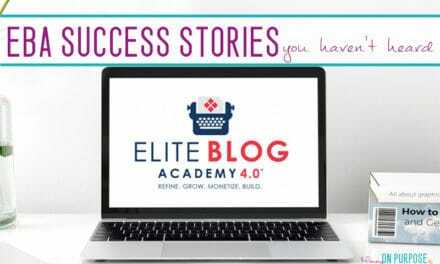 I learned so much that I decided to create a course to share my tips – and make it affordable so that other bloggers who were frustrated at their lack of affiliate marketing conversions could see the same successes I had seen. You can learn EVERYTHING I learned about affiliate marketing in my new course – Affiliate Marketing For Bloggers: Everything You’re Missing – HERE! How to tell if the niche your in can make money with affiliate marketing. Which FOUR KINDS of affiliate products I was promoting that were selling. It didn’t matter how many affiliate programs I joined or was promoting. There were four things that made sales consistently – and the more I worked with these four things, the more money I made. It didn’t take me long to realize WHY these four things were selling. 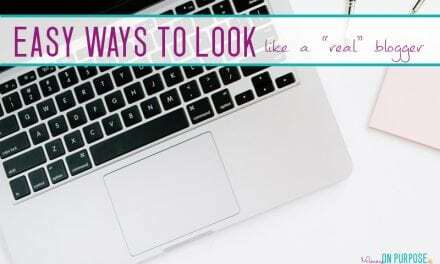 How to draw attention to your links to make sure people aren’t MISSING them – to make sure they’re in the right PLACE in your blog posts. What sort of basic “tweaks” to try making with your posts to increase conversions. How to write emails that make SALES, and why the emails you’re writing now are being ignored. (I also include swipe copy – the exact emails I sent – from an affiliate launch I took part in that made me over $5000 in one week with my small email list). Hi Carly, I just want to say this post is inspiring. 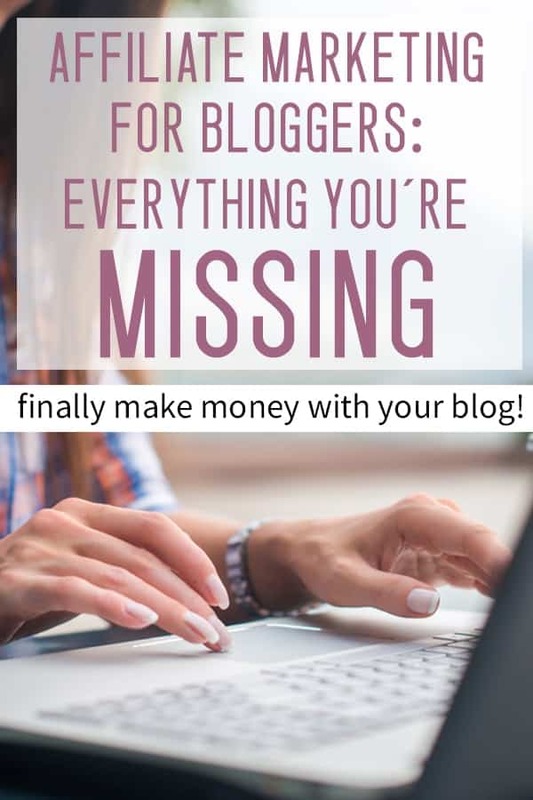 I keep procrastinating making a blog because I feel like I don’t have to contribute in making my own blog and earning with affiliate marketing. Danaisy – the best thing you can do is get it going! Good luck with everything!